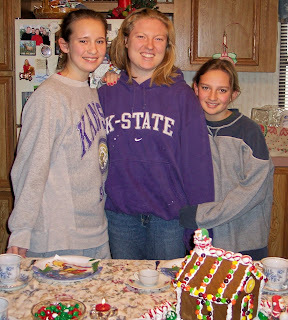 Having three daughters, I’ve been blessed to share many wonderful traditions during the Christmas season—tea parties, music recitals, building gingerbread houses, and so much more. 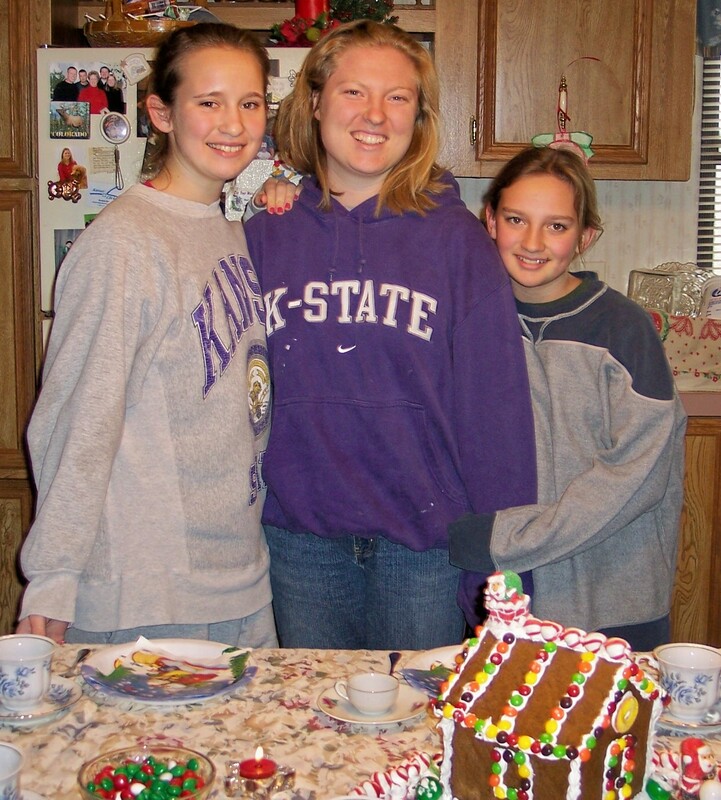 When I find myself tempted to give up one of these traditions, my daughters are usually there to keep me in line. That's what my youngest did this year when I mentioned not building a gingerbread house. At her downcast face, I buckled. We went to the Dollar Store and bought an armful of candies in all shapes and sizes. Skittles, peppermint sticks, colored marshmallow trees, nutcracker soldiers . . . you get the idea. 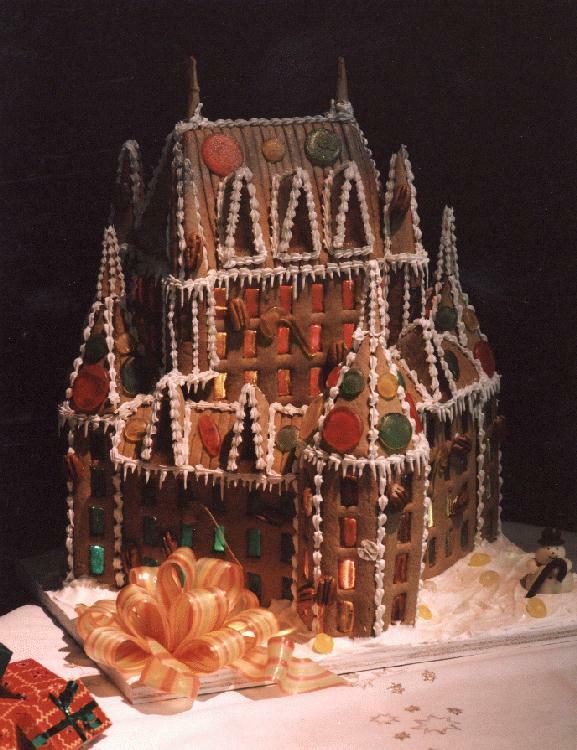 Visions of a grand gingerbread castle filled my mind . . .
Then we went home, and I baked the gingerbread, realizing that a small cottage would do. Here's the house we ended up with. 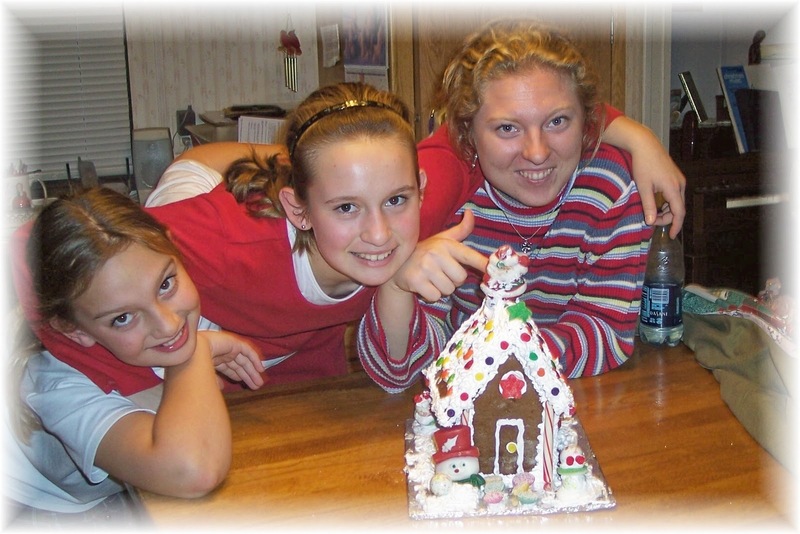 And here are a few gingerbread houses from our past . 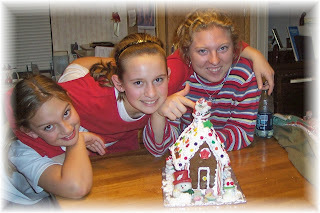 . .
Blessings to you as family traditions are fulfilled in your household this Christmastime.